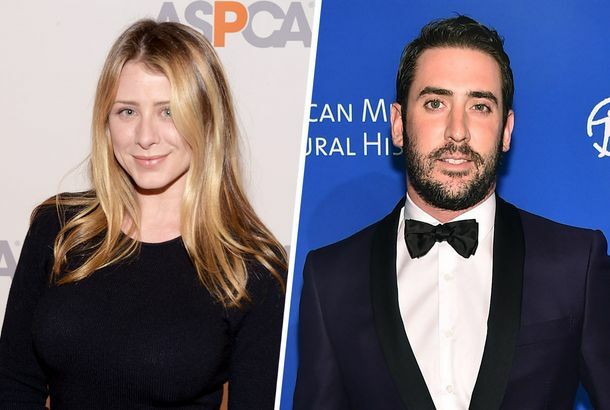 Lo Bosworth Spotted ‘Getting Cozy’ With Mets Pitcher Matt HarveyAt the Surf Lodge, of course. Adriana Lima Sort of Responds to Matt Harvey RumorsIn an Instagram comment, no less. What Is Going on With Adriana Lima and Matt Harvey?A sports fan explains the drama. After His Worst Start Yet, the Mets Don’t Know What to Do About Matt HarveyHe got shelled Thursday night, and Terry Collins isn’t sure what happens next. Matt Harvey Did Not Appreciate All Those Jokes About His Bladder InfectionHe wouldn’t speak to the press yesterday. How Many Matt Harvey Puns Can the Post Run?“Field of Streams,” for example. Matt Harvey’s Mystery Ailment RevealedWe already knew his mystery medical issue was unrelated to his elbow or shoulder. Why Matt Harvey Is Starting Game 1 Over Jacob deGromHarvey was considered their ace to start the season, and now he’ll be on the mound to start the World Series. Matt Harvey Throws a Gem As the Mets Win Game 1They opened the NLCS in impressive fashion. Matt Harvey Going on the DL With an Elbow InjuryWell, this is just awful. Mets Fans Talk About Matt Harvey to a Guy They Later Learn Is Matt HarveyOh, Mets. Matt Harvey Lost a No-Hitter in a Very Mets Way TodayHe was pretty great today, otherwise. Matt Harvey Is Pretty AwesomeHe’s been the best pitcher in the National League so far this year.